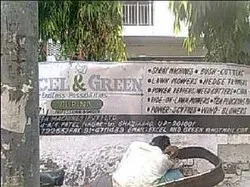 Established in the year 2001, we at Excel & Green Machines Private Limited, are engaged in the sphere of Exporter, Manufacturer and Distributor of a wide range of Tractor Mower, Chain Saw, Electric Hedge Trimmer, Lawn Mowers and many more. These are used for various applications in Agriculture, Defense, Development Authorities and Forest & Irrigation Department. Each of our precision-engineered products undergoes various quality tests to ensure its reliability, accurate functioning and durable performance. We are providing these product under the Excel & Green trade mark. Leveraging on our strategic contacts with renowned vendors, coupled with an in-depth understanding of the industry, we have been successful in fulfilling the requirements of the clients. We also offer prompt after sale service to our clients that includes repairing and maintenance services. Once checked at manufacturers end, we again check the quality of the Tools and Implements at our quality-testing unit in order to provide maximum satisfaction to our clients. We have appointed a team of diligent professionals that include Procurement Analysts, Importing Agents, Distribution Professionals and Supply Chain Managers. They are highly proficient and experienced in their field and carry out our business operation with perfection and dedication. Further, they are aware of their responsibility that helps us in attaining organizational goals. Their intellectual vision, analyzing power and far sighted approach has contributed in building good reputation in the market for our company. The entire team works in harmony with each other and maintains a close contact with our vendors regarding the procurement and dispatch of the equipment as per the orders placed. Being a trader and exporter, we play an important role between our clients and vendors. We procure technologically superior range of horticulture equipment & tools from various renowned vendors or manufacturers and supply these to our prominent clients. 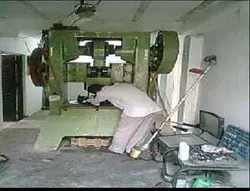 Moreover, these equipment and tools are also appreciated among our clients that have helped us to strengthen our relationship with our vendors and manufacturers. Knowing the fact that our vendors provide us a quality tested range of tools and implements, we also check their capability to produce bulk range of the products so that we can rely on them to meet the timely requirements of our clients. We also check their annual track record of production and manufacturing process so that we can continuously offer quality Gardening Tools and Implements to our clients. We procure only those products, which are manufactured using quality raw material, and the products that are highly durable and rugged in construction. With an industrial experience of almost 10 years, we have been successful and carved a niche for ourselves in the domestic arena. 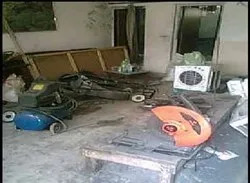 In addition to quality range of Gardening Tools and Implements, we also offer complete after sale service to our clients that include maintenance and repairing services. Our team of expert professionals helps us in developing and modifying the equipment according to the requirements of the customers. 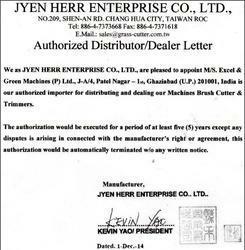 We have appointed various dealers in the country who assist our clients with above services. We also arrange free service camps and free checkup camps at our work shop as well as at our dealers’ end to enhance our sales.